- Identical size packing with PE bag. - Our most professional packaging. 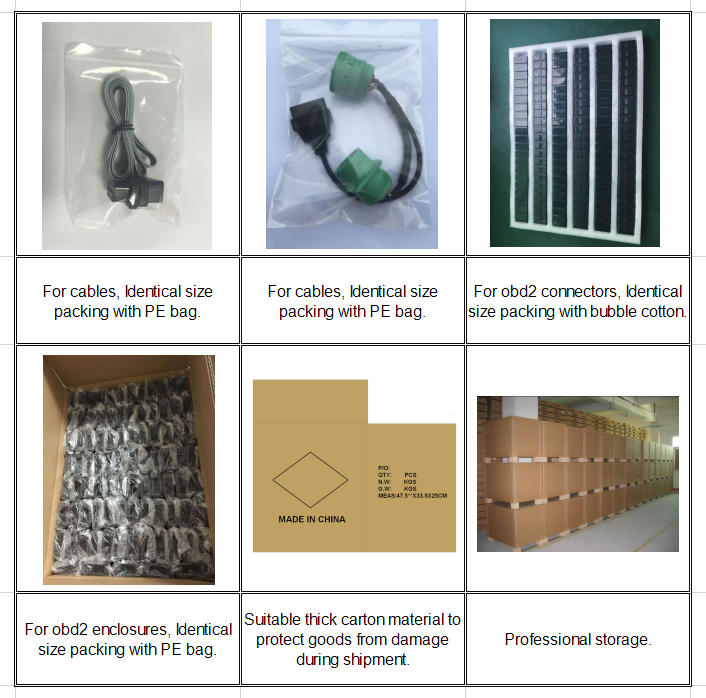 - Thick carton material to protect cables from damage during shipment. - Carton will label with customer's PO No,P/N, Marks and G.W information. 24V 16PIN OBD2 OBDII Male to Female Extension Cable 100cm can be used on any cars with 16pin OBD2 connectors. Matches all the vehicle communication standard. Product have in stock, 2~3 working days. Product out of stock, generally, 4~5 working days. small quantity, 7~10 working days. Large quantity, 25 working days. 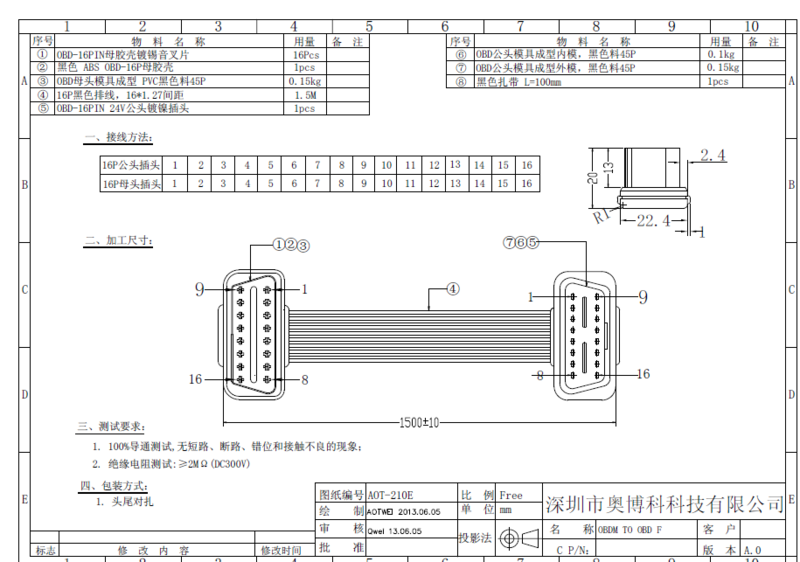 * For emergent order, we can try our best to offer you flexible lead time.